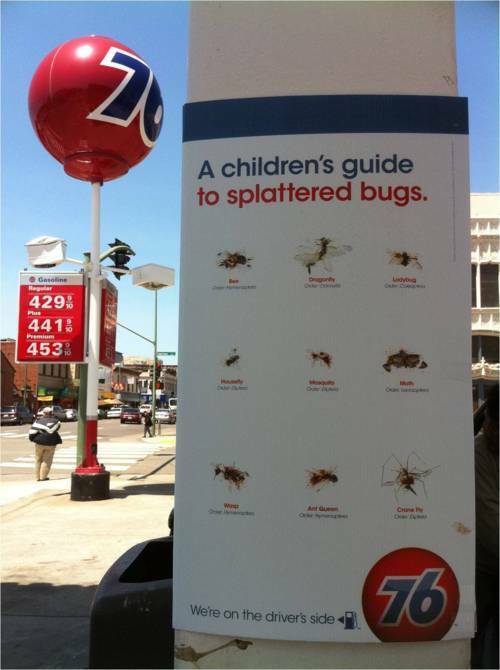 My friend Michelle at What Do I Do With My Life blog took these pictures at a gas station near Oakland’s Chinatown. Oil has traditionally been viewed as a commodity and let’s face it: gasoline isn’t the sexiest product to sell. But that hasn’t stopped smart brands from engaging with customers. 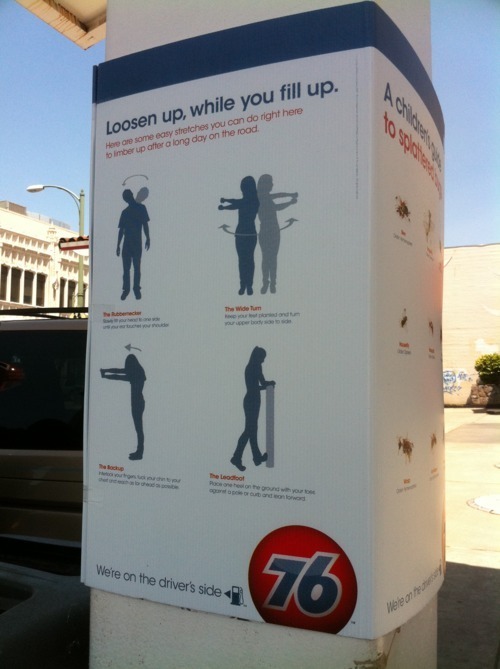 76 delivers on the brand promise of being “on the driver’s side” by offering health-conscious content that delights people when they least expect it: while pumping fuel. The brand also promotes a spirit of curiosity for kids with the clever splattered-bug photos. Talk about getting ‘em when they’re young – the pesky backseat passengers of today are the gas-purchasers of tomorrow! Many slogan’s are meaningless phrases that are slapped at the bottom of ads. Does your marketing campaign tie back to your brand’s core?